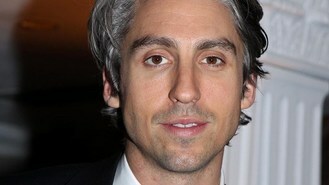 George Lamb says it was "madness" that he couldn't clinch Lily Allen a record deal. The TV presenter had a brief spell as the singer's manager but they parted ways before she found success. George told ITV1's Lorraine: "I couldn't get her a record deal, which is madness, and so unfortunately I couldn't be her manager any more because if you can't get someone a record deal, then it doesn't really work." The TV star said there was no bad blood between them. "It's lovely, we're still friends and it's worked out for the both of us," he said. "She's gone on to have an amazing career and I've gone on to have a nice career for myself." George, the son of former EastEnders star Larry Lamb, added: "I'm seeing her this weekend. She lives out in the countryside on the way to my mum's, so I'm going to go and see her on the way there." Snow Patrol, Kasabian and The Stone Roses have been named as this year's T In The Park headliners. Lily Allen has blasted Brits' organisers for cutting off Adele's acceptance speech. Queen guitarist Brian May has revealed that playing Sonisphere is thrilling but challenging. A new musical bringing together Tony Award winner Harvey Fierstein and rock icon Cyndi Lauper will put its best foot forward in Chicago this autumn. Adele's Brit Awards have proved yet another instant sales boost, despite her abrupt exit from the stage. One Direction have upset bosses at London radio station Capital FM after mistakenly thanking BBC Radio 1 following their success at the Brit Awards. Rihanna has been warned that her collaboration with her violent ex Chris Brown could damage her reputation. The Brit Awards has enjoyed its biggest TV audience for seven years, overnight figures showed.